Take a cool 15-minute walk from Ikebukuro Station through residential areas and you'll find this ramen shop disguising as a wooden 'western' cottage. The suspiciously named Drill-Man's slick homemade noodles, made with domestic flour, draw a steady stream of customers. 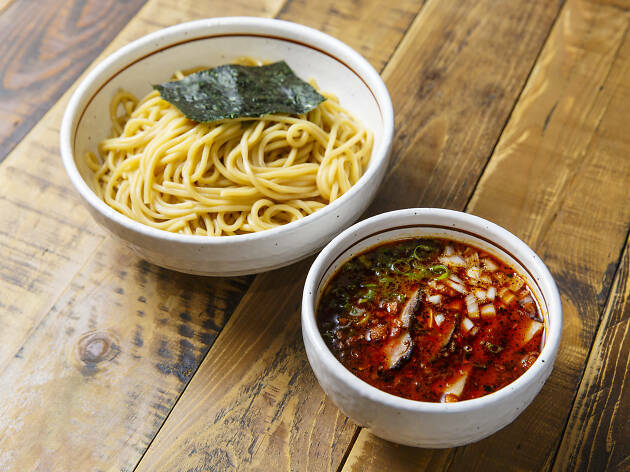 We recommend going for the tsukemen or ‘Tsukesoba’, which can be upgraded to a larger size at no extra cost. The MSG-free soup is made from seafood and pork broth, offering a moderately rich flavour, while the tender chashu pork adds depth to the taste. 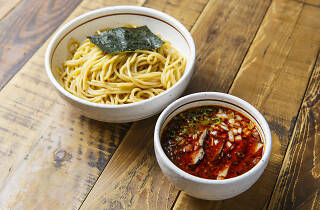 Other popular alternatives include the regular Chuka Soba ramen and the spicy Hot Basso with onion and garlic.